Following suggestions from schools, we have improved the teacher’s tools. 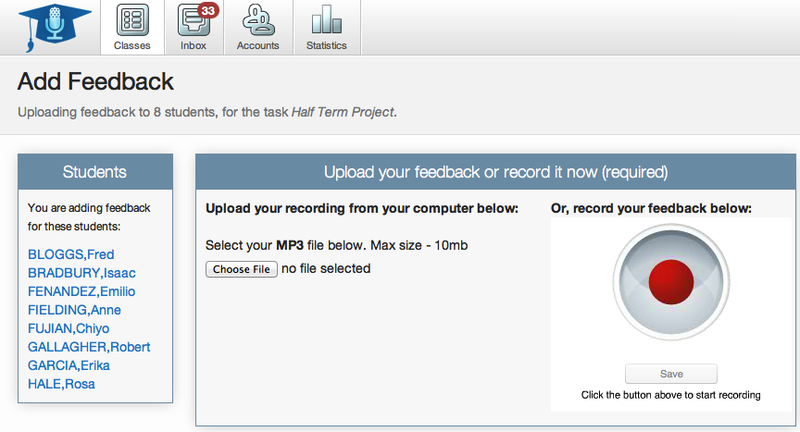 In addition to leaving 1:1 feedback for individual students, you can now also select groups of children to receive the same feedback, as well as broadcasting feedback to an entire class if you wish to. This is very useful when preparing differentiated feedback or instructions for groups within your class. We will be providing more examples of how Teacher Feedback can be used in this way to save time in busy classrooms. Check out the example below! Feedback delivers high impact on students at relatively low cost.